Expert advice, and a few gifted chew toys, can be a big help when bringing home a pet for the first time. When Colleen Kelly walked into a morning staff meeting in April of 2016—15 minutes late—she wasn't greeted by the typical coffee cups and agenda items. Rather, the soon-to-be-dog-mom opened the staff room door to a scene of potluck dishes, blue balloons and baby bottle cutouts on the wall. "It was a well-planned surprise my co-workers built under [the guise of] a team get-together," she remembers, speaking by phone. "I was dumbfounded. I burst into tears." 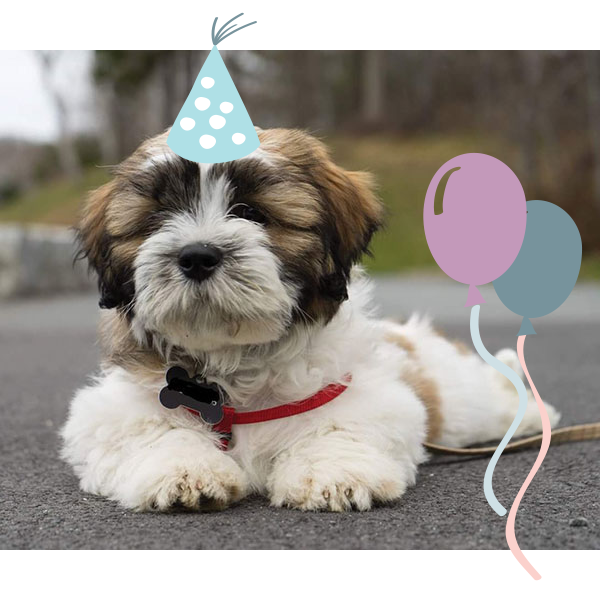 The surprise puppy shower came one month before the ink was dry on Kelly's decision to adopt a shitzu-bichon mix, a hypoallergenic breed, after wanting a dog for a long time. Amongst the paw prints and banners proclaiming "It's a boy!" her friends also gifted her dog food and chew toys, swapped recommendations for the best vets and groomers in town and shared advice from the trenches of puppy raising. The obvious (though joking) parallels to the baby showers she'd had years before still make her laugh. "Everybody was making fun like it was a new baby coming home. 'You'll be sleep deprived,'" Kelly says. As if on cue, her dog interjects, barking in the background. "Why yes, we're talking about you!" Kelly says with a laugh. She adds that the training materials her pals gave her really helped make transitioning to life with a new little one to look after that much easier. "It's just like bringing a new baby home, and everyone has a different way to train a new puppy." Raising a puppy is no easy task, but the support of her friends made this dog mom ready for the challenge ahead. "I'm still doing a ton of work," she adds. "My friends prepped me completely. When I came home that night, I could've brought the dog home."